In this post, I will talk about how to prepare matcha tea. But first, let me tell you what is this ”superfood” that everyone talks about. Well, it is a special type of powdered green tea that contains numerous health benefits. From strengthening the immune system to improving cardiovascular health, it heals you in more ways than you can imagine. Its made from the shade-grown tea leaves of Camellia Sinensis the same plant from which is made the oolong tea but using a different process. Before harvesting, the plant is covered to avoid sunlight. This process increases the chlorophyll levels, turning the leaves in a dark shade of green. After harvesting, the leaves are dried and slowly ground between millstones resulting in the matcha tea powder. This tea is from the long-standing tradition of Japanese culture that is gaining immense popularity recently among the dedicated tea lovers. They are in fact adding its powerful health benefits to their everyday diet in order to stay healthy forever. Even scientific studies confirm that every sip of it delivers a mega dose of antioxidants. It is indeed packed with exponentially more antioxidants than any other superfood. In case you don’t know about antioxidants, they are your body’s natural defense agents that fight against all kinds of diseases and infections. Are you ready to take in the calming beauty of the Matcha Tea? First, sift 1-2 teaspoon of matcha into a cup using a small sifter. It will ensure the cleanliness and purity of the powder. Next, add the warm water and start mixing it with a spoon. Shake vigorously, preferably using a whisk, for about 15 seconds until tea is frothy. For the best taste, use water just under the boil at 80°C- 85°C and the best way I know to get the exact temperature is using an electric kettle with temperature control. The best ratio is 2:8. 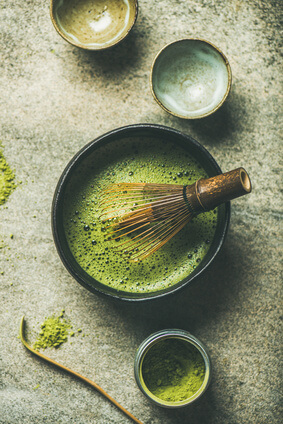 Two teaspoon of matcha and eight ounces of water produce a light, refreshing, and flavorful cup of it. You can also add or subtract the quantity of matcha powder according to your taste. It is possible to use the milk as well. Just warm the milk and pour it into the mug until nearly full. With the same ratio, mix the matcha paste and milk together, until smooth and light green in color. Mix the matcha tea powder with fresh cold water using the same technique as described above. Half fill a glass with ice cubes and pour over the tea. Optionally add lime, ginger or practically whatever you like, some sweetener and serve immediately. Bear in mind that matcha is stronger in taste. 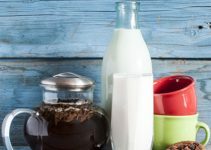 Therefore, it will hold up to sweeteners and other ingredients. If you have your own unique way of making tea, you can add the matcha power into it. Adjust the measurements to suit your taste. I drink it without sweetener. The first time, it has a horrible taste. But after a while, you get used to the taste and find it refreshing. Now, when you know how to make matcha tea, let’s take a look at reasons to drink this tea. The matcha tea contains various antioxidants, polyphenols, L-theanine, vitamin A, C, E, K, vitamin B-complex, and trace minerals. When you drink other traditional herbal teas, components from the leaves get infused into the hot water. However, this isn’t the case with Matcha Tea. It is the purest form of tea in which you are drinking the actual leaves, which are packed with a million benefits. That’s why is considered one of the best green tea for health. For example, it boosts the immune defense of your body. The richness of its compounds makes it a potent potion for your immune system against various antigens. Other than that, this cup of tea is loaded with Catechin. This special compound is widely recognized for its anti-cancer properties. According to experts, matcha teacup indeed contains 100 times more Catechin compound than any other herbal tea on the market. This is just the tip of a visible iceberg. 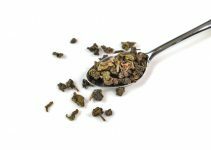 This special form of tea boosts memory and concentration, improves cardiovascular health, increases energy, promotes calmness, detoxifies your body, and etc. 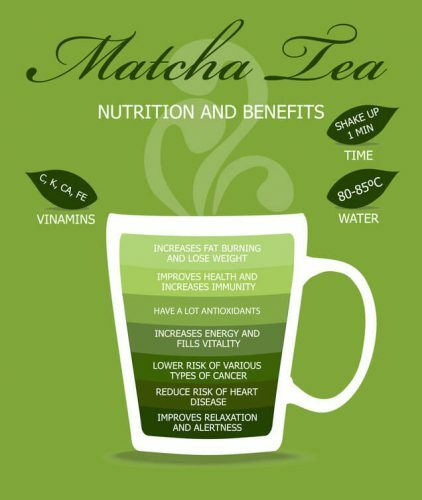 Here you can find more about the health benefits of matcha tea. If we say, it’s a million-dollar cup of tea; it will be 100% correct. Have you ever tried this tea? How do you like it? Leave a comment below!